Here’s a question: Balmoral, quiet misty haven or so freaking boring you’d run screaming onto the nearest heather-spotted moor? Well, if anybody has a direct line to Meghan Markle, you should ask her in the coming weeks, because she’s off for a visit. 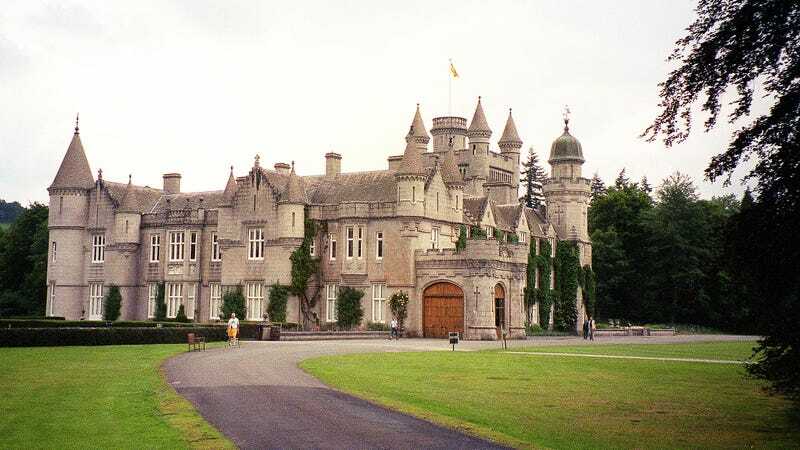 The website of the Daily Express reported that Queen Elizabeth is off to Balmoral for her annual Scottish summer retreat, and you better believe they’ve found the dramatic angle: “Meghan Markle to undertake ‘Balmoral TEST’ with visit to Scottish estate.” The dek continued, sounding increasingly like a description of some occult ritual: “MEGHAN Markle is set to undertake the Balmoral ‘test’ as part of her Royal initiation, with an expected visit to the Queen’s Scottish estate, marking the couple’s first visit to the country retreat since the Royal Wedding in May.” Dun-dun-DUNNNN! The first Balmoral initiation of a non-Royal spouse was conducted by Princess Diana, who reportedly was less fond of the country retreat than her Royal counterparts. My answer is that Balmoral would be very exciting indeed, as long as you could get into the attic and/or long-term storage filled with all Queen Victoria’s most intimate junk. Nightgowns, down-market novels, medieval costumes for Victorian chivalric cosplay, etc., etc.